In 2007, Steve Garson started SD-WAN-Experts (at that point called MPLS-Experts) to help U.S. companies communicate with their Chinese and Indian manufacturing facilities. Two clients were rolling out their ERP systems in China and found that their new networks were impeding operations, an unexpected and undesirable problem. A quick examination identified their VPN over Internet as the root cause of the unacceptable performance they were experiencing. SD-WAN-Experts helped them install a high quality MPLS network to eliminate the packet loss and reduce the latency that is found on the internet. This led to quickly realizing that many other U.S. companies were having the same problem; or they were using less manageable frame relay or point-to-point circuits. Thus, was born this specialized practice in consulting to companies on the procurement and roll-out of Wide Area Networks (WANs). SD-WAN-Experts now serves companies worldwide with global facilities, large retail chains, as well as small domestic companies, and has even designed government emergency communication networks for an entire state. The opinions expressed in this blog are those of Steve Garson and do not necessarily represent those of IDG Communications, Inc., its parent, subsidiary or affiliated companies. 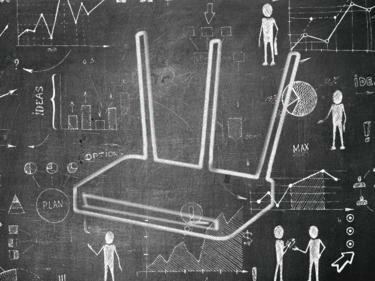 What's wrong with Cisco running SD-WAN on your routers? There are several implications to choosing to outsource SD-WAN to your carrier. Secure SD-WAN services are becoming increasingly popular, but not all services are the same. The WAN Summit show just finished up in New York. Here’s a look at one of the major trends—the growth of secure, SD-WAN services. Simply put, enterprises should be able to abandon MPLS when they have a better approach. For enterprises deploying a global SD-WAN solution, selecting the right ISP is important. The mystery should start clearing up very soon, so you should sit tight for now before racing off for a technology decision that might constrain you going forward.